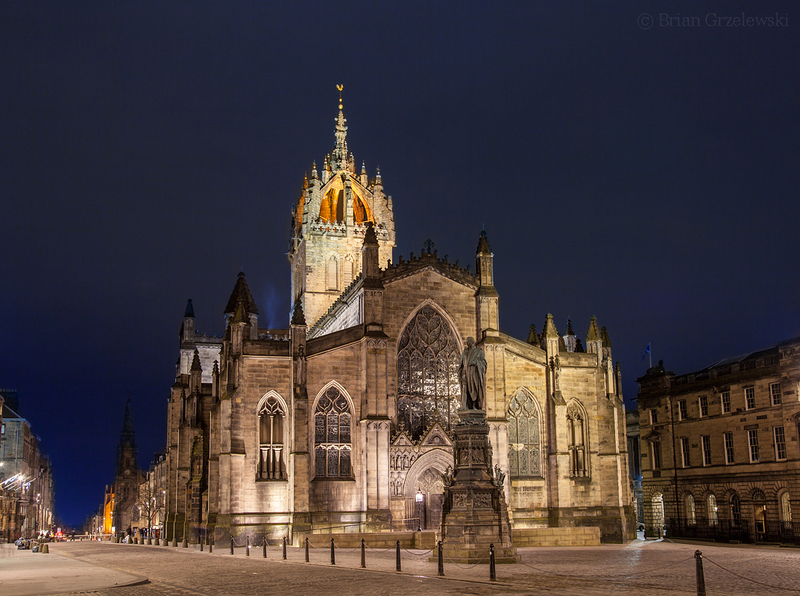 St. Giles Cathedral is the “High Kirk of Edinburgh”. It’s beautifully lit inside and out. The oldest part of the church was build in the 1300’s.